In order to completely log out from WordPress, you’ll need to exit your web browser after you have logged out. In the grey navigation bar at the top of your WordPress screen, click your name at the far right. From the drop down menu, select Log Out. You MUST close your browser to complete the logout process. You have logged out of UD WordPress at Edublogs, but you must quit your Web browser to completely sever the connection between Edublogs and your computer. 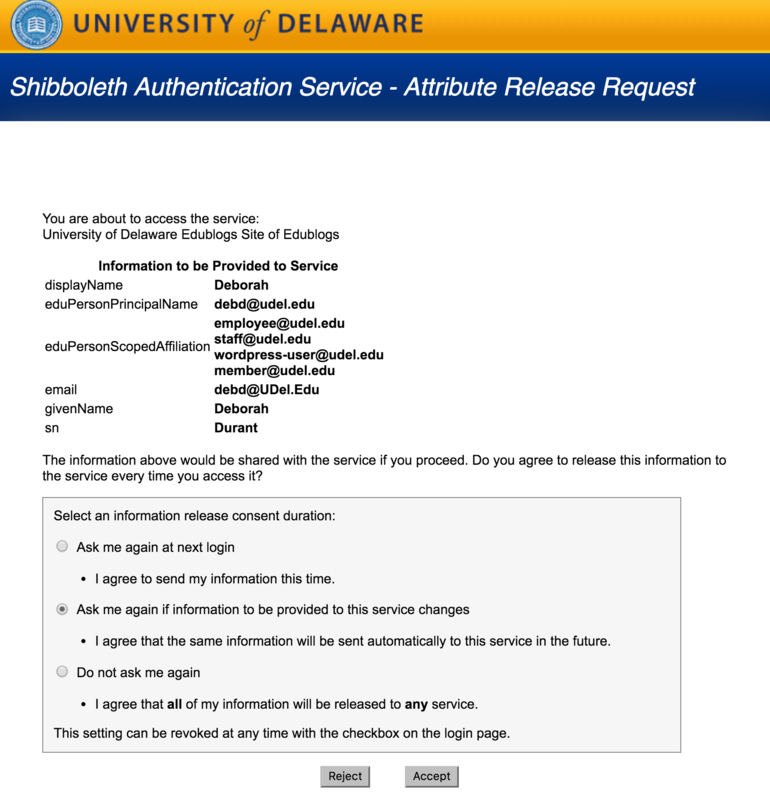 All UD students, faculty, and staff can create a Web site or blog with WordPress at UD. Use the admin bar at the top of the page or log in using the link below. You may see this page after you log in. This is a legitimate page and you can choose any of the options. Once you are logged in you will find your dashboard under the My Sites menu item in the admin bar at the top of the page.